Keeping Chickens: Information for Beginners. In days gone by, as well as growing your own vegetables, it was popular for households to keep a small flock of chickens in the back garden to produce eggs and the occasional bird for the table. Eggs were valued as an essential part of the diet and were a valuable commodity that could easily be produced at home. During the 1950’s, hybrid chickens were created that could produce large numbers of eggs in intensive farming systems. The price of eggs came down as their availability increased. Supermarkets were born and contributed further to the downward pressure on price. Outbreaks of Salmonella further added to the decline in the number of people keeping chickens at home. Thankfully, over the last few years, chickens have been making a come back to our back gardens and there are more and more people looking at keeping a few hens for eggs again at home. From hybrid egg layers to some of the more specialist pure breeds, there is a breed to suit everyone. There is something tremendously relaxing seeing chickens scratching around the garden looking for bugs or worms. Many chicken fanatics started with just a few chickens for eggs but ended up getting more, not because they needed more eggs but because they enjoyed keeping them so much. One of the biggest advantages of chicken keeping is that they are productive pets producing delicious eggs. You control their diet and ultimately what goes into their eggs too; so there are no fears of unwanted antibiotic residues or other nasties in the eggs you eat. Ask any poultry keeper whether their eggs taste better than shop bought eggs, you can guess what their answer will be! Unfortunately, it’s not all a bed of roses. Keeping chickens also brings with it certain problems and responsibilities: they need locking up at night to protect them from predators such as the fox and vermin such as rats can appear in winter to feed from leftover food. Chickens do not distinguish between the vegetable plot and an old bit of scrub ground, and will scratch away happily at seed beds given half a chance! Don’t let this put you off though. There is plenty of advice here from experienced chicken keepers and armed with the correct management techniques, chickens can be kept fit, healthy and safe. With a small amount of effort, they can even be kept where you want them in the garden. Collecting hatching eggs from my chickens, incubating them and seeing that first little chick pip through its shell just 21 days later is an incredible part of nature that I never tire of watching and I always know where my children take visitors as soon as they arrive… to see the chicks! Frequently Asked Questions about keeping chickens. From what to feed chickens to housing requirements, this section should answer all of the most commonly asked questions. This section contains general articles about keeping chickens that don’t belong in any other category. 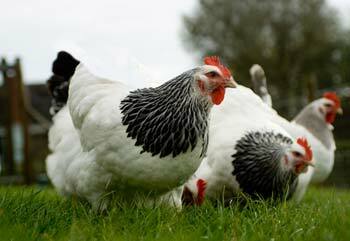 From our Beginners Guide to moulting, there is a wide range of information about how to keep chickens in this section. From finding ex-battery hens for sale to their special requirements during those first few weeks, this section contains everything you need to know to provide them with a wonderful free range retirement. This section contains information about incubating and hatching eggs, either by using an incubator, or a broody hen. Much of this information is general to other poultry too, such as selecting and setting up an incubator or setting your eggs. This section contains information about raising your chicks once they have hatched. From day old to fully grown adults. With a heat lamp, or using a broody hen to bring them up. Feeding, housing and daily care. Information about Housing Chickens. From a simple broody hen house design to choosing the right chicken house or buying a cheap chicken coop, and selecting suitable bedding for your birds. Information about the more popular poultry supplies. Supplements such as Apple Cider Vinegar or Diatomaceous Earth and cleaning products such as Poultry Shield.